Resharpening- W.D. Quinn Saw Co. I had a chance to go see the W.D Quinn Saw Co. located in St. Louis, MO. I was looking for a place that would resharpen saw blades, only place that I could find was Woodcraft, when friend told me about W.D Quinn. I got in touch with them and Joseph (who runs the company along with his brother was very helpful). He offered to show me around if I was interested and I jumped at the chance to go. They have an amazing state of the art facility, this is not a bunch of guys that are covered in metal dust in some dark and workshop (not that there is anything wrong with that). They have these amazing machines that that are fully automated to get the most precise resharpening you can get on a blade. 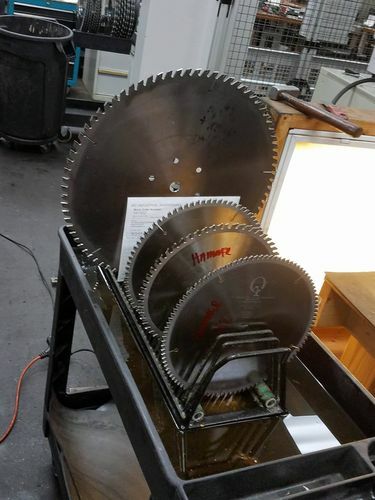 They have a bunch of Vollmer machines that they use to resharpen the blades after doing some research on the machines, it is basically the best machines you can buy. These are the same machines that are being used by Forrest, Freud, and other major blade makers. 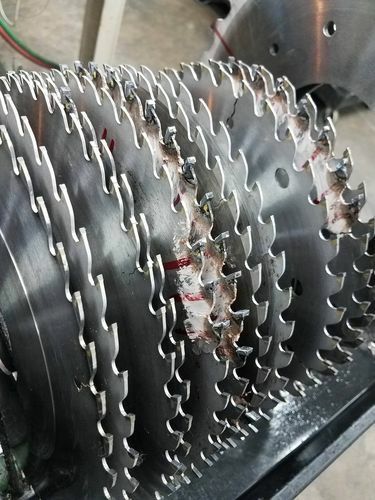 They have blades coming in from all over the place, not only do they make their own blades but most of their business is focused on resharpening. They if you send in your precious and you have happened to have lost a tooth they will actually replace the tooth. Their prices are extremely affordable. I was looking to upgrade the Blade for my 12’ Bosch Glide Miter Saw from the flimsy one that comes with the saw. I was thinking about getting a Forrest Chopmaster but after digging online about W.D. Quinn Saw Co. I saw that a lot of Frame shops are using their blades in their shops, and I mean Miter Corners and clean cuts is how they make their living so those guys would know about a good blade. So I decided to pick up 12” x 80 tooth blade for the Miter Saw and 10”x 40 tooth (Their version of the Woodworker II) for the table saw. Joseph explained to be that the amount of Carbide that is on each of the tooth is how many times the blade can be resharpened and one of the first things I noticed about their blades is the huge carbide teeth. I am very excited about the blades, and I will be trying them out for about a month of so and then I will review them as well. If you are in the in the area you should take your business to a place like this instead of giving your money to a big brand business. I have no affiliation with them and I am not being paid for anything. I am just supporting a local business that actual people are depending on. I am attaching their website and address on the bottom. Have a good one! Great review about a family run sharpening business. The pictures indicate a well run professional service operation. We also use a family run sharpening business located in NW Alabama. They offer great service for a reasonable price. 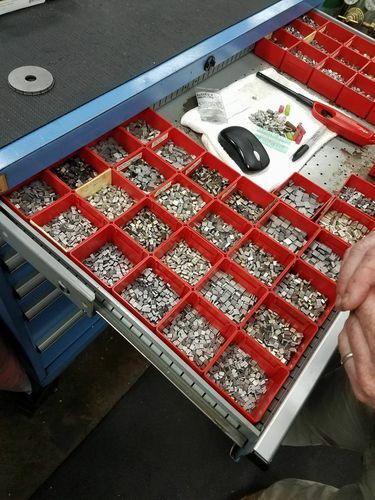 We learned about them by visiting a cabinet shop and asked who they used for tool sharpening. I took bunch of pictures unfortunately I could only add 3. Wuddoc, I’m in Tupelo, and the local sharpening service is “primitive” at best. Do they do hand saws? Where is the service you use? PM if you don’t want to go public. I’ve got too much invested to use a crappy service. Thanks for the review Hassan! I like doing business with companies like this. CL810, no worries! I like to work with smaller pro shops as well. Whats this? where are the dwarfs busy filing away. A big capital outlay for little initial return, however the precision would make you come back again. As long as we cut wood they will have a job. There is a similar family business here called Peacock saws, They have a two day PU and turnaround how good is that! I have never had to opportunity to visit them but I should make an effort next work task trip. Rob, I am sorry I don’t follow about doing work on my home page please explain it to me. you are welcome! 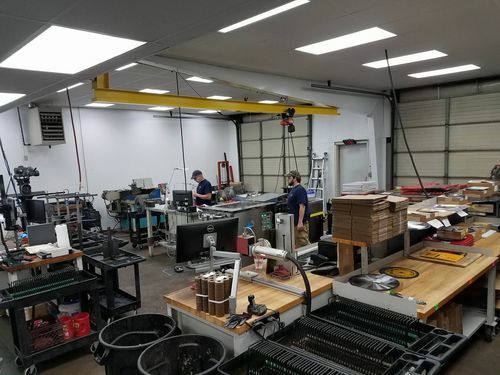 You should really check them out, since you are in Naperville you can mail your stuff and they will resharpen and mail it back. Do they do planer knives as well? I’m only about 30 minutes from St. Louis and am looking for a place to bring some knives. I was delighted to see a review of Quinn. I have used them for over 10 years and wouldn’t take my blades anywhere else. While it is helpful that I live in St Louis and can simply drop of a batch when needed, I have always been impressed with their friendly service and quality work. BTW… they have also sharpened my planer blades. Top notch… they deserve all your kind words. It looks good now I wondered at the time where you were from. is that your family dog?